Interests:Medicine & Computer Science...what a combo! 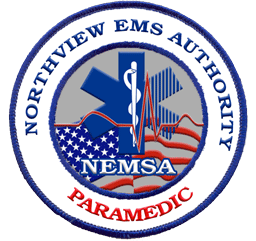 Hello, and welcome to my concept proposal thread for a new modification known as Northview: Paramedics. Northview: Paramedics is a single player "Mission-based" modification which puts you in the shoes of a Northview County private-service paramedic. From resting in your comfy station to dealing with serious medical issues, the modification makes a great effort to balance realism with fun and to give you an experience that keeps you wanting to come back for more. Treat Patients properly or suffer the consequences. Use experience points gathered from calls to upgrade your skill, your partner, and your ambulance. The concept behind Northview: Paramedics is nothing new, in fact much of the inspiration for this mod come from an existing modification known as Rescue Trainer Simulator. RTS is an awesome mod, but the fact that it is written in German and based on a German EMS system, leaves a lot to be desired for those of us in the US. This will be my attempt to bridge that gap and bring a US style version of the modification to the community. Do I need to be a real Paramedic to play this? Of course not! Remember, it's all about balance. The end goal is to create something that is fun and playable by lay-rescuers but still challenging enough for real life paramedics. Whether or not it's through two different game modes or a built-in help mechanism is still being decided. Yes, the series lives on....but with a new type of gameplay. I plan on using many of the elements and story points for my Northview: South County mod in this modification. Who knows...this may be set in South County. Will it be playable in multiplayer? No. This modification is only possible using mission scripts. As such there will be no support for Multiplayer or Freeplay modes. The game will play as a continuous freeplay style mission which continues indefinitely unless one of your paramedics dies or you get sacked. I am by no means delusional. I understand fully the size of this project. As of right now that mod is still being planned on paper. The key to a project of this size is that it must have a clear straight-forward plan before I even touch the editor or start scripting. As such I am taking my time in making a solid plan. As such this is still in the conceptual phase. I have no ETA. Well, with the overall lack of english support for modding in EM5, this will in fact be an EM4 modification! I would really like to know if such a modification is really something that the community is interested in. If I'm going to invest so much time, I really want this to be something people want. Also, what do you think of the concept? What would you like to see? After playing a couple of hours of Helping Peter, I think its safe to say that my concept is fundamentally different, in fact, I stand that my concept is a hybrid of Helping Peter and RTS. Like Helping Peter, thing such as requesting Fire Department and Police, along with the general set-up of on scene patient care are similar. Unlike Helping Peter (and more like RTS), the mission isn't over when the ambulance arrives. Instead, you are the ambulance. Not only do you have to care for your patient on scene, but you have to care for them during the ride, which may take a few minutes. In Paramedics, WHERE you transport your patient is an important choice. Sending a severely injured person to your local ER will cost you a lot of points versus sending them to a larger university hospital which will gain you a bonus. Furthermore, Things like assessing your patient, bandaging, giving oxygen will not be instant. Need to take a blood pressure? It's going to take a couple seconds. (Obviously the more experience you have, the faster you get things done). You will start off being able to do advanced procedures, but your partner will only be able to do First Aid. Meaning that you'll need to delegate tasks between different characters. The goal is to be able to spend experience points on upgrading your partner from EMT (First Aid) to AEMT (First Aid + Some advanced things) to Paramedic (Like the player). The fire department will also be usable on scene to help treat patients. I plan to support up to two patients at a time. So using Fire Department as an extra set of hands to actually provide treatment is another difference. Also, the UI I am planning is also somewhat different. As far as depth goes, I think I'm more on par with RTS in how advanced the interventions go....beyond the basic first aid seen in Helping Peter. Helping Peter is badass though! I strongly agree with that^^. Not to mention this is the US version, which'll be great fun I'm sure, so good luck! So this is for sure going to be for EM5? This mod is going to be epic as I want to be a Paramedic! A few nights ago I played around with missions scripts. One command in particular has always intrigued me as I wasn't sure it did what I thought it would do. So I played around and made a small mission script and played around with the Game::LoadMap() function....and the results were as I expected. A map can be dynamically changed during gameplay. With careful scripting and map creation you can create areas larger than the games map size limit by splitting everything into areas. With some triggers and scripting you can make a large city comprised of multiple small maps. Video of my test. The map changes from one map via timer to another then back again. What does this mean? 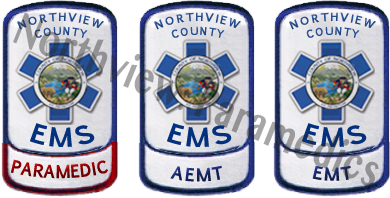 You can expect a larger area than most em4 maps in Northview: Paramedics. The "loading map" text is just a game hint fired 1 second before the LoadMap() command. This is only possible in MissionScripts though. What levels of provider would you like to see (listed in order of increasing capability)? *AEMT also includes all drugs under EMT. Paramedic also includes all drugs under AEMT and EMT. **If you haven't gotten an idea of how crazy I'm getting with this already...here it is. Don't worry, I'll make it playable even if you don't know what any of these are. The Fire Department Response will be automated, however, you will have control of them (for medical use) once they arrive on scene. Fighting Fire/Performing Rescues will also be automated and out of the player's hands. Besides the obvious, Structure Fires/Explosions/Car Crashes, when should a fire department respond to calls? 1. Never. 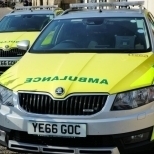 A 2 man ambulance crew + 1 supervisor (upon request) is more than adequate. *Priority 1 - Life Threatening Medical Condition (Cardiac Arrest/Choking/Severe Allergic Reaction), Priority 2 - Possible Life Threatening Medical Condition (Chest Pain/Unknown Medical), Priority 3 - Unlikely Life Threatening Medical Condition (Sick Person/Assault). This is something that is available as a help system for players who are not real life paramedics. Essentially you can call medical control and you'll receive hints on what you should do on a particular call. You will not get penalized for using it, but you will get an XP bonus for not using it during a call. What do you think about the Medical Control Help System? The key incentive to keep playing is the ability to gain eXperience Points. By completing calls in a timely fashion, you gain XP. If you do something wrong, you loose XP. You can use your earned XP to buy upgrades. Such Upgrades include (Changing your Ambulance's Model, increasing the speed at which your character and other do certain tasks, increase the success rate of certain actions, and even increase the provider level of your characters or NPC Characters (such as upgrading a FF/EMT into a FF/AEMT). Upgraded vehicles will feature differing levels of Speed and Capacity (# of patients or rescuers they can hold). How do you feel about the XP/Upgrade System? What should be the starting ambulance? I'm thinking an old junker type II (van) ambulance. You will be able to upgrade to others using XP. EMT here, I would add Epinephrine (Auto injector obviously) and Albuterol. I haven't heard of too many EMT-Bs administering Tylenol, at least around here lol. I'm not sure if you're adding "emt-assisted" medications. Would add Ipratropium Bromide, Midazolam, Promethazine, Diphenhydramine, Hydroxycobalamin (I think it's used for smoke inhalation) for the paramedic. Sorry if I added anything you already have. Will you be doing RSI in this? Would be cool to add the full sequence, pretreatment, sedation, paralytics then post sedation and analgesia. Yea EMT-assisted meds are implied and include Albuterol via MDI, Epinephrine via Autoinjector, and Nitroglycerine if the patient has them. Still trying to figure out how to make that work in the game. I may just leave it out for simplicity. I was considering Ipratropium Bromide (Atrovent) but locally it's not something our ALS carry. I think I'll throw it in. Midazolam = Versed, Diphenhydramine = Benadryl. I chose Zofran over Promethazine since it's more common around here. Plus both are used in the same circumstances. No need for redundancy. I thought about doing RSI but maybe not. RSI is sort of a "Holy Grail" skill that isn't very common. Tylenol is often used in systems that have extended transport times for use on young children with fevers. I may bump it up to AEMT. Hydroxycobalamin is used to treat cyanide poisoning. Might be useful for use on smoke inhalation calls. Of course. There will be a drug guide. Typically here the driver is trained at least to the EMT level. Initially everyone will be EMT except for one character who will be a Paramedic. Technically you can upgrade everyone to paramedic but it would get more expensive since the cost to promote increases with the number of paramedics you have. So you can have more paramedics?